Call us on 01224 443 896 and ask about our 4G backup connection. We can offer various internet connectivity packages including: ADSL, super-fast broadband also known as Fibre to the Cabinet (FTTC) , Fibre to the Premises (FTTP), Ethernet First Mile (EFM) and leased lines & Satellite Broadband. Outdoor point to point links between buildings so if you have a property over the road which gets better connection then you could share. Want to reduce your telecom bills? Because we benefit from competitive pricing from our suppliers, we can pass this reduced pricing onto you! We can help save you money by migrating you away from your old ISDN lines to SIP or VoIP. This not only means cheaper line rental, but your calls are a fraction of the cost. ISDN will soon be a thing of the past and so will any angst over your phone bill! Why use G5 for your Telecoms? 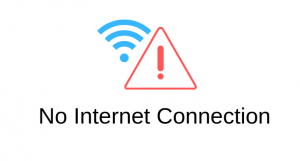 4G emergency backup options for Business Continuity Planning – can you imagine the impact of being without internet for a few hours or even days? Can I get a faster connection? All we need is your phone number and postcode!